This 25 gram Gunmetal Black Kolor Pearls ® powder is a great pigment for creating your very own tinted clears in paint or powder-coating applications. It is guaranteed to mix well with any clear paints or tinted kandy paints, and has a temperature threshold of about 400 degrees fahrenheit. It is a very fine powder and will spray well through airbrushes, powder guns, and HVLP paint guns. It is very light, so it stays well mixed in paint without settling too fast in your gun, and can make great tinted clears for light to heavy effects (it’s your choice). One 25 gram bag of our Gunmetal Black Kolor Pearls ® treats from 1 to 2 quarts of clear. As you can see in the picture, it has subtle multi-colored reflections. 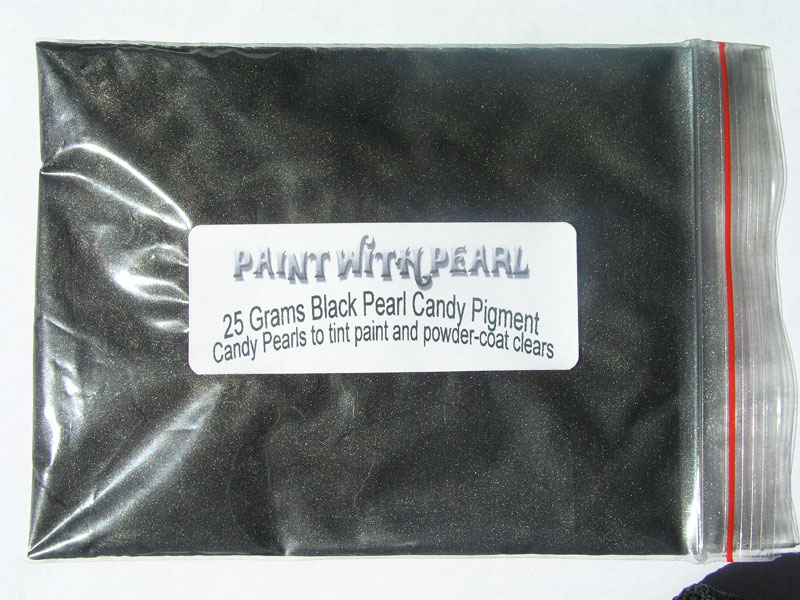 At Paint With Pearl, we pride ourselves on the quality of our Gunmetal Black kandy Pearl pigments. These are quality metallic Iron Mica colored pigments that have a good deal of their own iridescence built right in. 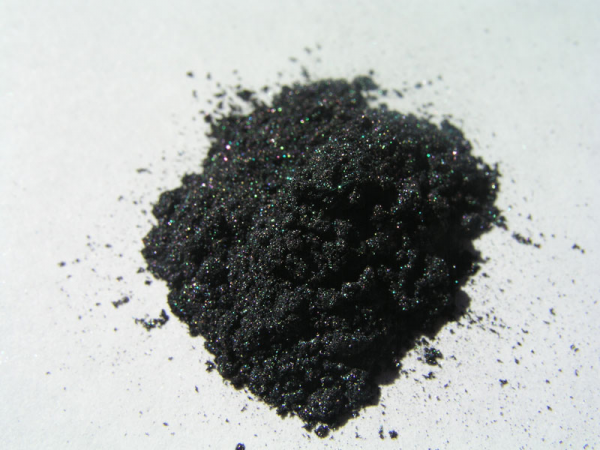 The mixture, however, of our kandy pigments will never be truly transparent, due to the fact that they are solid particles of mica and iron. This does not mean that you can’t achieve a good degree of transparency from the kandy paint pigments, it’s just that you will achieve total coverage after several coats, being unable to see whatever is underneath. We suggest using about 1/2 of one of our bags per quart of base clear or inter coat clear. Using a full bag per quart would basically make a colored metallic pearl paint. Our kandy paint pearls can also be used to make your own Kolorshift Pearls pigments, by mixing them with different ghost pearl paint pigments. This is usually done by a 3 to 1 ghost to kandy paint ratio, sprayed in about 5 coats. This is not something for the apprentice to try, but more for a skilled pro with the common sense to spray out test panels before attempting to paint an entire project. As we have said in other articles on this site, there are literally millions of possibilities of what you can achieve in the kustom paint realm by mixing and matching our products. 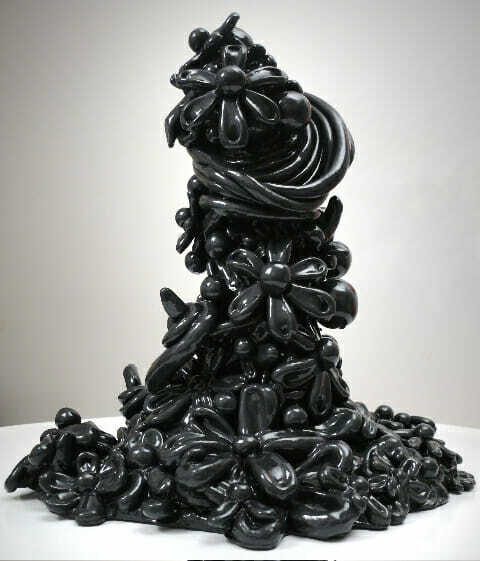 Our Gunmetal Black Kolor Pearls ® are a joy to spray over Grey, Silver, black, and Metal. They tend to get darker when more coats are applied.